UPDATE – MEXICO CITY (CNS) — Two priests were found dead in Mexico within days of each other, the latest in a string of attacks against clergy. Father Juan Miguel Contreras Garcia was shot dead in the St. Pius of Pietrelcina parish in the Guadalajara suburb of Tlajomulco de Zuniga. 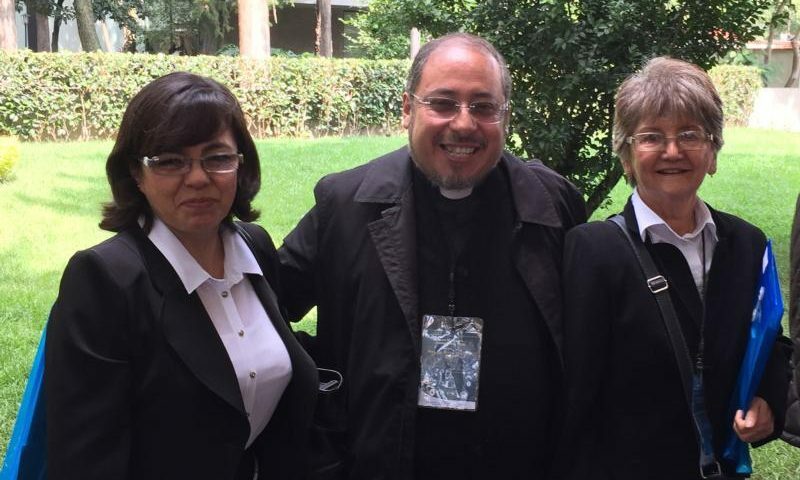 An April 20 statement from the Jalisco state prosecutor’s office said Father Contreras was confronted and shot in the sacristy. Two assailants subsequently fled in a compact car. No motive for the attack was offered. Father Moises Fabila Reyes, an octogenarian priest who served as chaplain to the choir at the Basilica of Our Lady of Guadalupe, was found dead April 22 in Morelos state. Mexican media reported he had been kidnapped April 3, and his family had paid a ransom of more than 2 million pesos ($105,000) for his release, which never occurred. Father Fabila was the fifth priest murdered so far in 2018. The attacks followed the April 18 murder of Father Ruben Alcantara Diaz in the northern Mexico City suburb of Cuautitlan Izcalli. Father Alcantara was attacked April 18, just prior to the 7 p.m. Mass at Our Lady of Carmen Parish, the Diocese of Izcalli said in a short statement. The Mexican bishops’ conference issued a call for action on the violence consuming the country and impacting the church. “We are making an urgent call to construct a culture of peace and reconciliation. These regrettable occurrences call all of us to a much deeper and more sincere conversion. It’s time to look honestly at our culture and society in order to ask ourselves how we lost respect for life and the sacred,” the conference said in an April 20 statement. “We ask the Catholic faithful to accompany their priests with prayer, above all, in the pastoral service of the communities they are entrusted to,” the statement continued. Father Alcantara, who was also the diocesan judicial vicar, was accosted by the assailant and was involved in a discussion prior to the attack, according to Mexican media. The assailant alleged abuse in his shouts and fled the scene, the newspaper Reforma reported. His whereabouts remains unknown. Attacks on clergy have become common in Mexico, where the homicide rate reached historic high levels in 2017 and the violence consuming large swaths of the country has not spared the Catholic Church. The Catholic Multimedia Center has counted 24 priests killed in Mexico since December 2012, when the six-year administration of President Enrique Pena Nieto began.